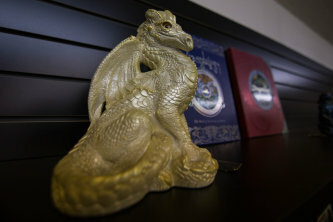 Guild House Games is Durango’s premier brick-and-mortar game store and gamer community! 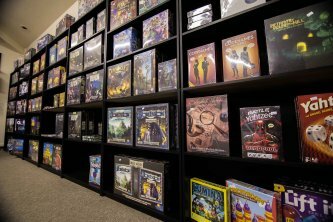 Whether you’re looking for board games (both conventional and contemporary), card games, collectibles, miniatures, or trading cards, we carry a carefully curated and diverse selection in each category. Find new games and explore expansions for popular brands like Fantasy Flight Games, Games Workshop, Asmodee, WizKids, Wizards of the Coast, Catan, Pathfinder, and more! We also offer an extensive line of high-quality painting supplies for miniatures and models. We focus on creating a relaxed, clean, and comfortable atmosphere to help foster our local gamer and hobbyist community. Everyone is welcome! Share the love for your favorite games and meet new people at our organized community game nights. Bring your own group or join one, either way, we’ll make sure everyone has an opportunity to play. Don't miss our scheduled Game Nights, LCG Nights, and our weekly/monthly events for games such as; “Warhammer”, “Dungeons and Dragons”, “X-Wing”, the wildly popular “Magic the Gathering”, and more. Don’t see your favorite game on the calendar? Organize your own groups during our Free Open Play that starts daily at noon! Come in and enjoy refreshments, pizzas, burritos and the company of other gamers in the community. Gamer or not, are you looking for the perfect gift? 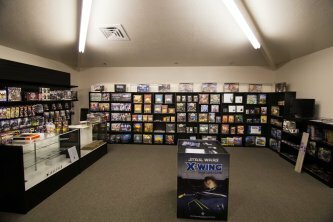 We have the most expansive variety of games and novelties that you’ll only find in Durango. Give us an idea of what you’re looking for and we’ll give you our best recommendations. Follow us on Facebook or visit our website to stay updated on all our events and products!